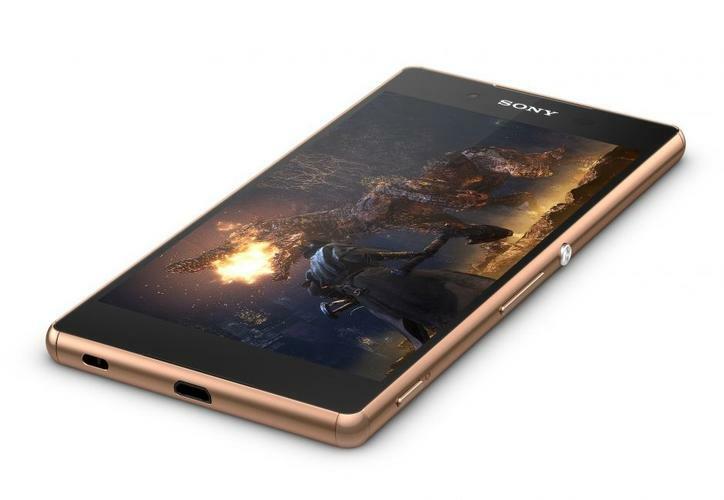 Sony's new flagship smartphone, the Xperia Z4, will be called the Xperia Z3+ when it goes on sale outside Japan in June. The phone has a sleeker design, faster processor and better front camera than the Z3 it replaces. Like the Z4, the Xperia Z3+ was announced with little fanfare compared to events organized by competitors Samsung Electronics and LG Electronics. The low-key launch on Tuesday doesn't necessarily reflect badly on the product, but raises the question of how committed Sony is to its struggling smartphone unit. The Z3+ and Z4 are both available with 32GB of integrated storage. The only difference between them is that the Z4 is also available in a 64GB version. Both models have the option to add another 128GB using their microSD card slots. Sony didn't have a good explanation for why the phone has a different name outside Japan, but the given that it is very much an incremental update over the Z3, the new name makes sense. The Z3+ looks almost identical to the Z3. Like its predecessor, it has a full HD 5.2-inch screen, 3GB of RAM, and a waterproof and dustproof case. The resolution of the rear camera, 20.7-megapixels, is unchanged compared to the Z3, but Sony promises better images from the Z3+ (and Z4) thanks to better software for the "auto" mode, which seeks to improve images where the smartphone takes care of all the settings. In the Xperia Z3 and Z3 Compact, that camera wasn't able to compete with the cameras on Samsung's Galaxy S6 or LG's G4 in a recent test conducted by PC Advisor. The Sony smartphones' lack of optical imaging stabilization is a drawback. Qualcomm's Snapdragon 810 processor powers the Xperia Z3+, instead of the Snapdragon 801 in the Z3. The only other aspect of the Z3+ and Z4 that has received a significant upgrade is the front camera, which has a resolution of 5 megapixels instead of the Z3's 2 megapixels. The move to better front cameras started last year, and has only accelerated in the last five months: Sony's latest mid-range models, the Xperia C4 and the Xperia M4 Aqua, also have 5-megapixel cameras on the front. The Z3+ is a fraction lighter and thinner than the Z3, at 144 grams and 6.8 millimeters. One area where the "plus" might be a minus is battery size: The Z3+ has a capacity of 2,900mAh compared to its predecessor's 3,100mAh. Neither battery is removable. The overall size of the Xperia Z3+ is a close match to the Galaxy S6, which has 5.1-inch screen. Samsung and Sony have gone for lightweight designs that still feel sturdy, although the Galaxy S6 is even lighter at 138 grams. It measures 143.4mm x 70.5mm compared to 146.3mm x 71.9mm. The S6 is also 6.8 millimeters thick, excluding the protruding camera on the back. Considering the battery in the S6 has a capacity of 2,550mAh, Sony seems to have found the better balance between a slim design and battery capacity -- although Samsung did find space in the Galaxy S6 to support wireless charging. So where does all this leave Sony's smartphone division? Pretty much in the same place as it was before the company announced the Z4 in April. It hard to see why millions of consumers would wake up one morning and realize they want a high-end smartphone from Sony instead of one from Apple or Samsung. There is no doubt Sony makes good smartphones, but not enough people want to buy them. If the company wants to change its fortunes, it needs to pool all its assets and do something that stands out more.